The Scottish therapist R.D. Laing (1927-1989) is a biographer's dream. A multifaceted character who can legitimately be described as both creative and self-destructive, inspiring and dangerous, compassionate and vain, he was tortured and perverse, a gifted healer whose intellect and empathy eventually overwhelmed him. Clay, a psychologist himself, recounts the events in Laing's life that were emblematic of his personality. Beginning with his mother's manipulative double-binds, Clay takes readers through Laing's schooling, medical training at Glasgow and subsequent career in psychiatric hospitals. From the first, Laing questioned the distinction between sanity and madness on which his teachers relied, feeling that, by diagnosing rather than listening, they only made their patients worse. His disenchantment with authority is evident in his epigram: ""We don't have fathers any more, we just have brothers."" Laing's scholarship is not always consistent: he often rejected the reality of schizophrenia, deeming it socially constructed, but also criticized the family for causing it. As his life progressed, though, he probably fell victim to the disorder. In fact, Clay treats Laing's description in The Divided Self of the three states of schizophrenia (implosion, engulfment and petrification) as a projection of his own inner state. Some of Clay's other psychologizing is strained, however, as when he argues that since Laing got stuck in the birth canal (which he claimed to remember! ), he never trusted relationships to last. 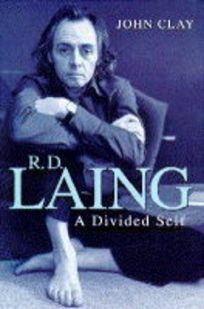 Laing certainly is a compelling character in his own right, and Clay's insights only enhance his fascination. (Dec.) FYI: This season saw the publication of another book on Laing, The Wing of Madness by Daniel Burston (Harvard Univ. ; see Forecasts, June 3).